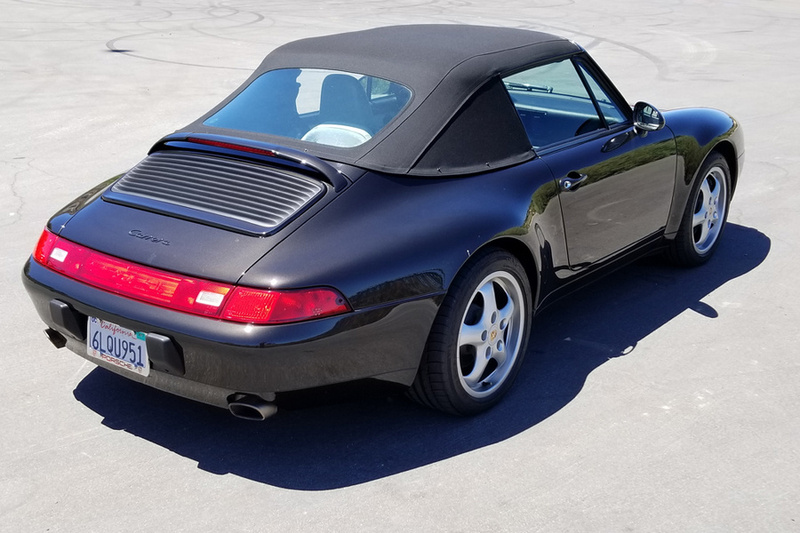 We recently acquired a low mileage (51,700), 2-owner 1996 Carrera Cabriolet in Black Metallic with a Grey/black partial leather interior. 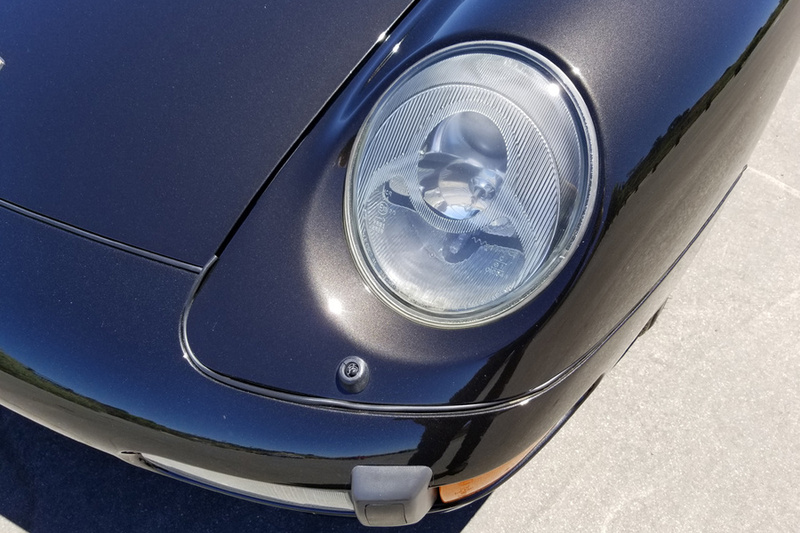 Porsche developed the 993 to replace the 964 who’s production ended in December of 1993 with 993 production starting January 1994. 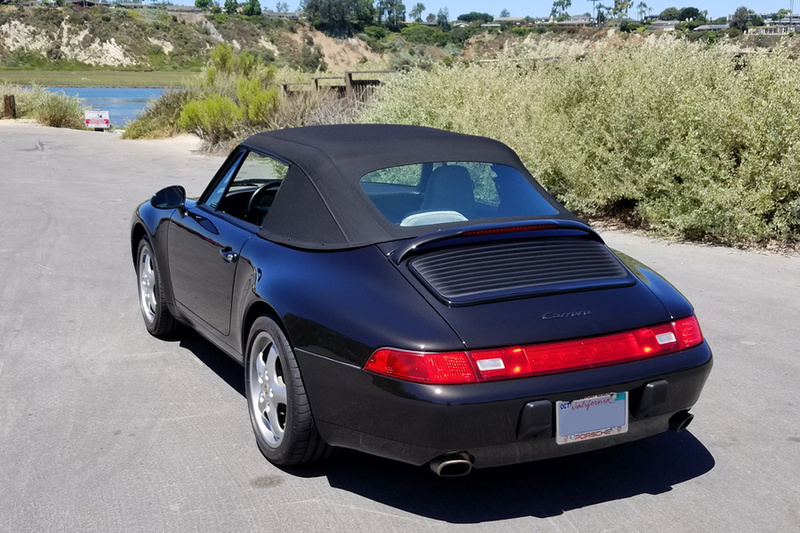 The 993 was a completely new car, only carrying over the roof and deck lid of the 964. 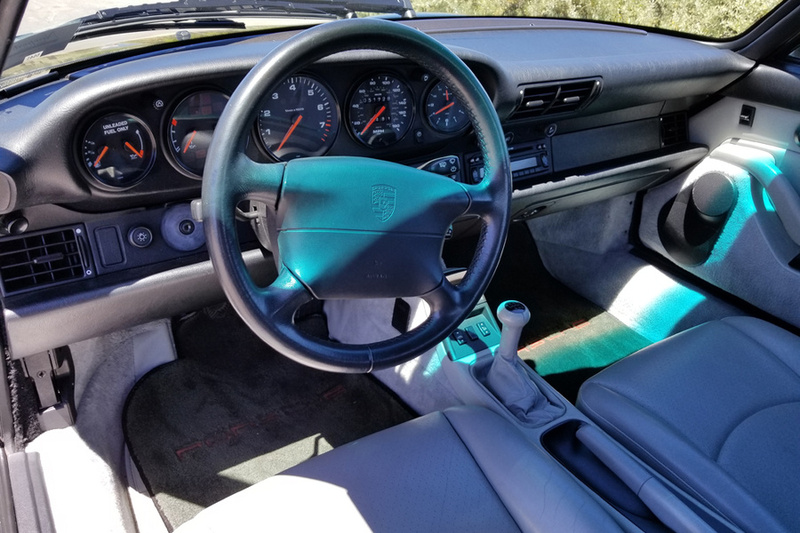 By 1996 Porsche had ironed out the kinks and introduced some improvements, most notably Varioram. 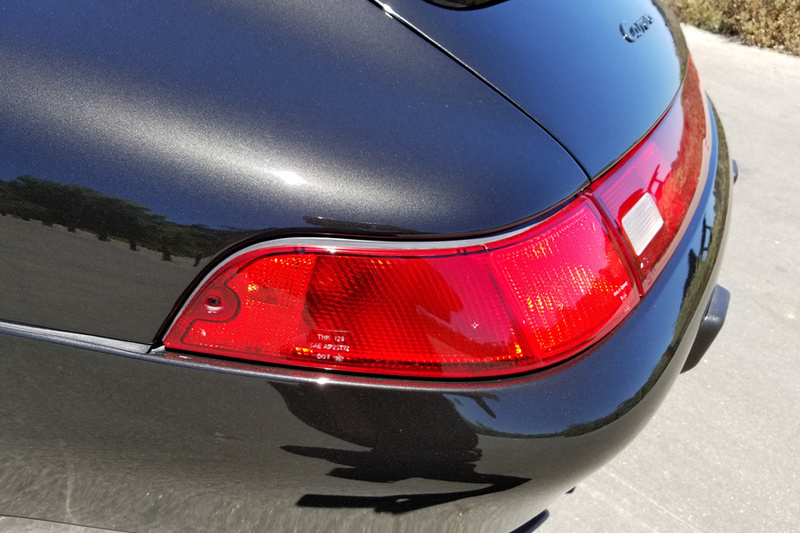 First developed for the 993 Carrera RS’s M64/20 engine to improve low/mid range torque, Variorum was now standard on all 993 Carrera’s. 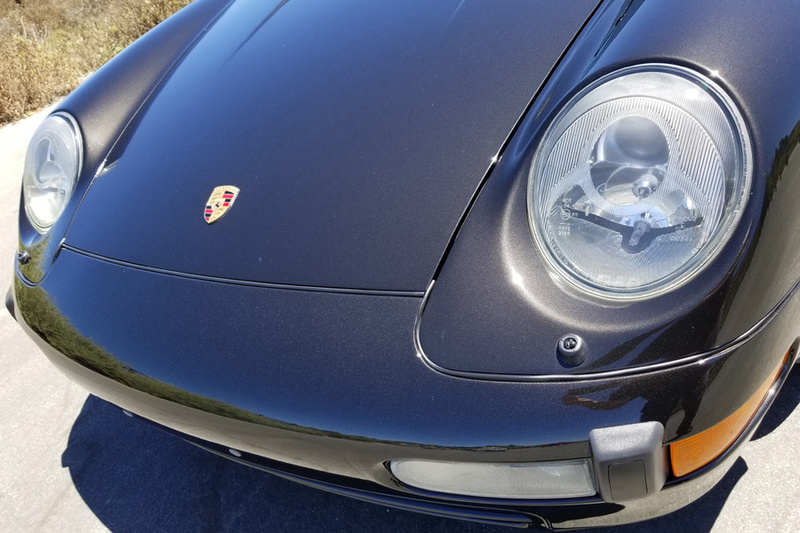 The naturally aspirated 3.6 liter engine boasts 272 horsepower with that classic air-cooled flat six thrum. 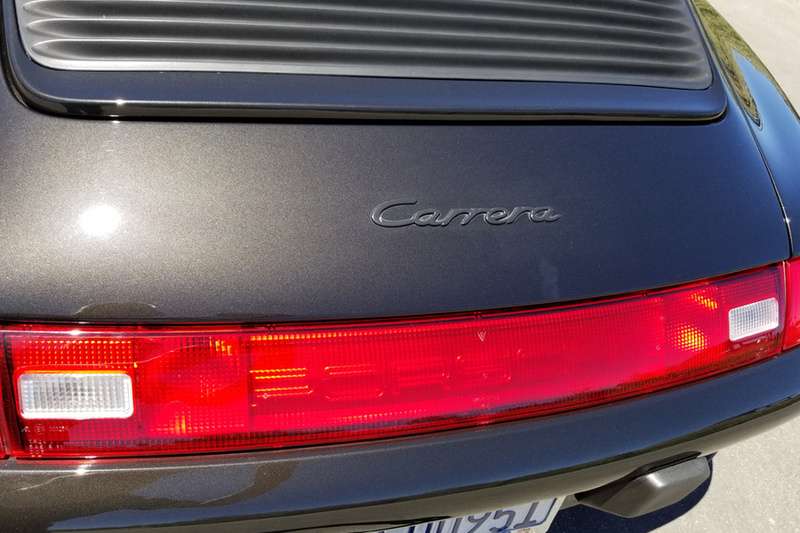 This is a very nicely optioned Carrera. 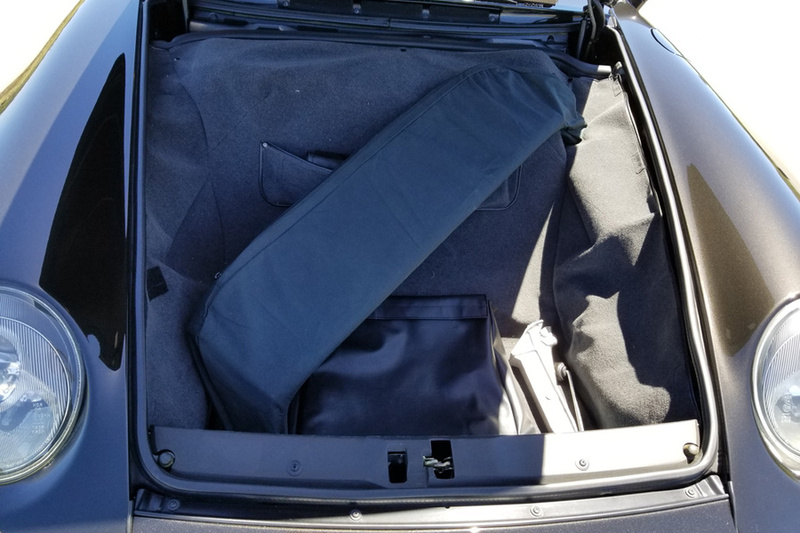 Leaving the factory with the following options; Black Metallic Paint (Z8),Porsche Floor Mats, Sports Package 6-speed plus PASM (P04), Aerokit package (P08), Power Comfort Seats w/Driver Memory (P15), 17” Cayman wheel, Rim Caps (4) w/Porsche Crest, Sound Package Plus and Porsche Windstop (deflector). The current owner bought the car from Porsche Newport Beach and is an active member of the Porsche community and collector here in Orange County. 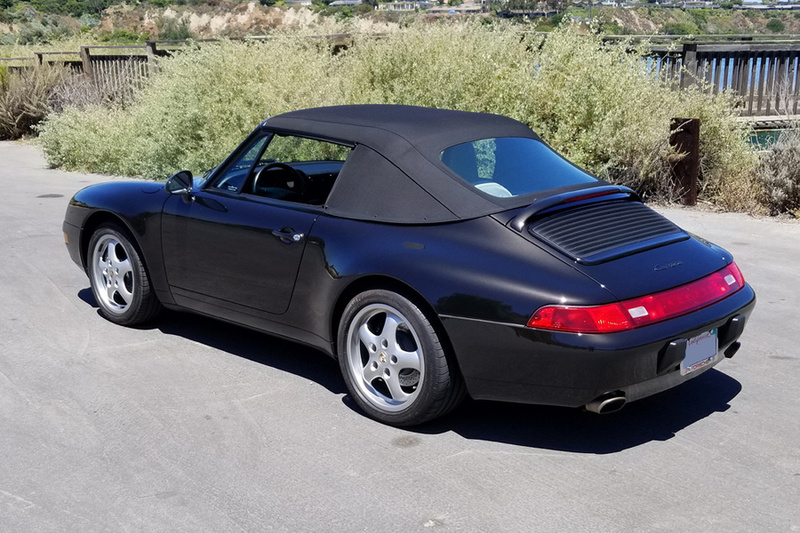 He has owned the car for the past 7 years and his only reason for selling is that he recently bought a 98’ 993 and needs room in his garage. We think this speaks highly to the appeal of these later air cooled Porsches. 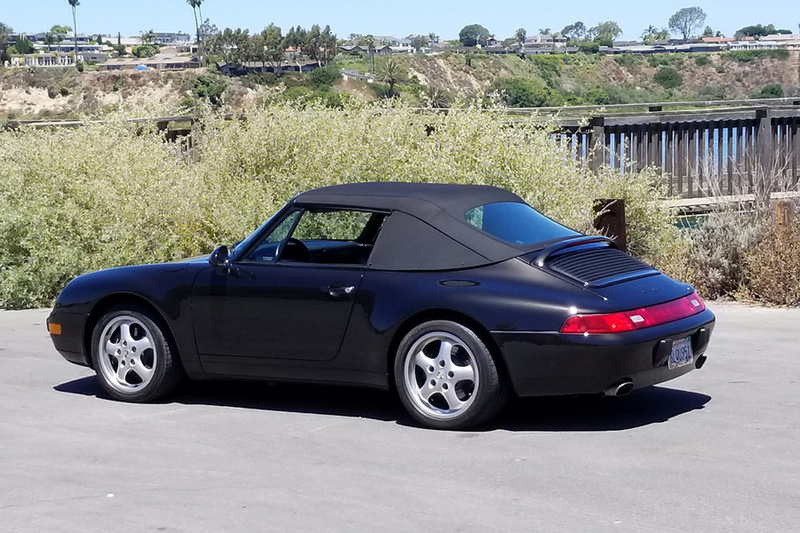 This car, with only two previous owners has been cared for meticulously and spent its entire life in Southern California. 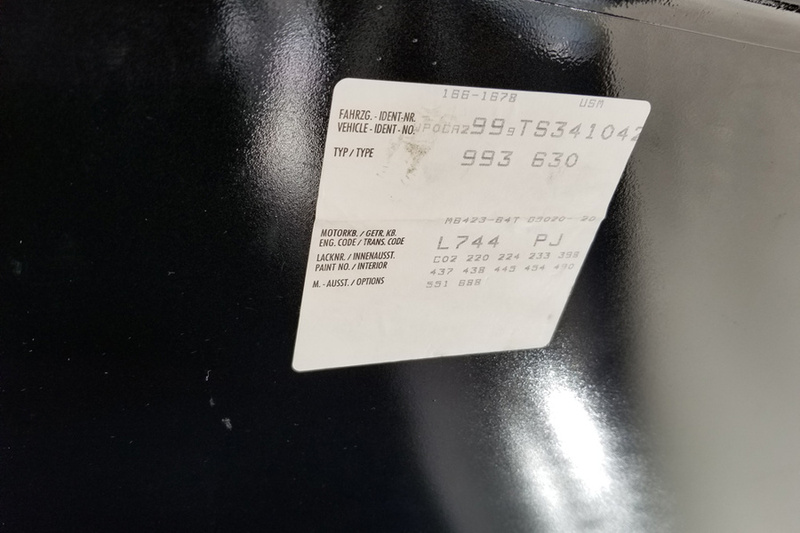 The car has been serviced regularly since new with the most recent service less than 1,000 miles ago. 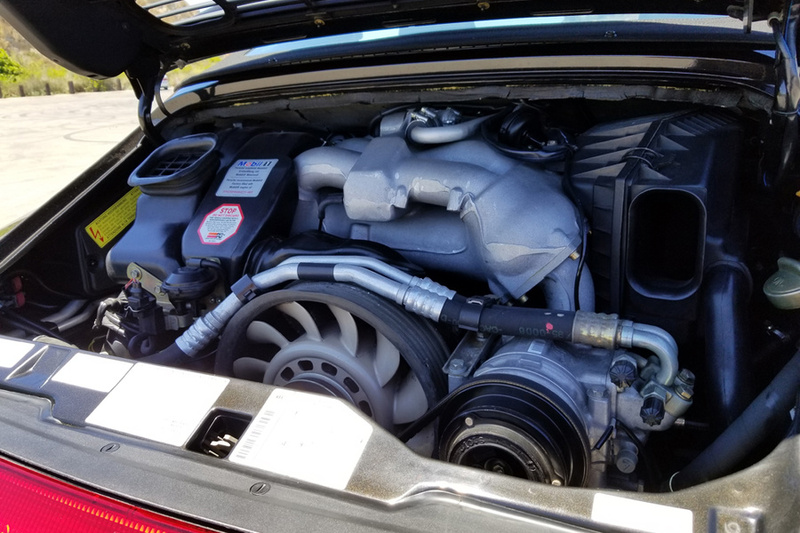 This service included; spark plugs, pollen filters, belts, filters, fluids, distributor caps/rotors and SAI service. The chain box gaskets were also replaced <1000 miles and a full oil change and replacement of both filters/o-rings was less than 200 miles ago. 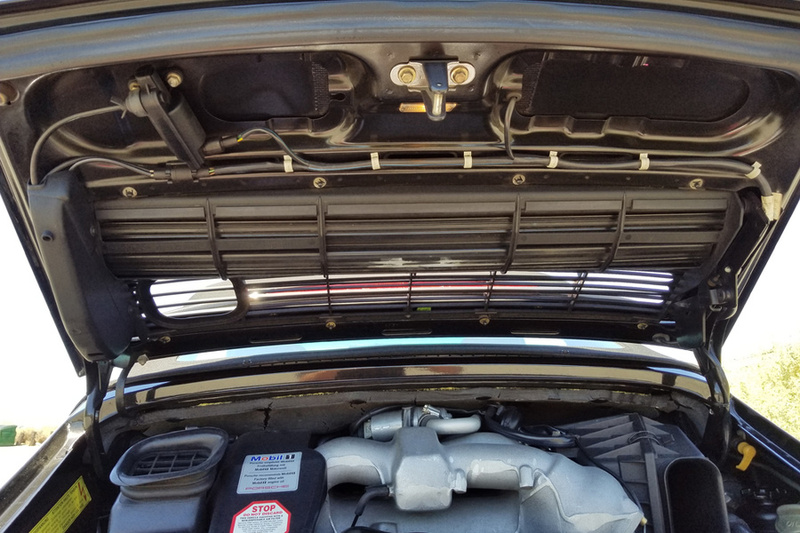 The exhaust valve covers were replaced with Eagle Day billet aluminum covers and a full A/C service was performed in June 2017. 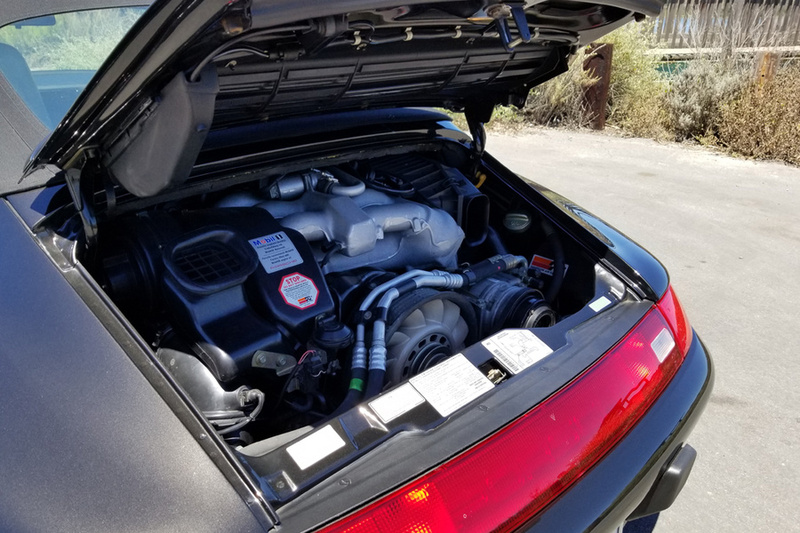 As you can tell the owner really cared for this car, addressing all necessary services and replacing any worn parts immediately. 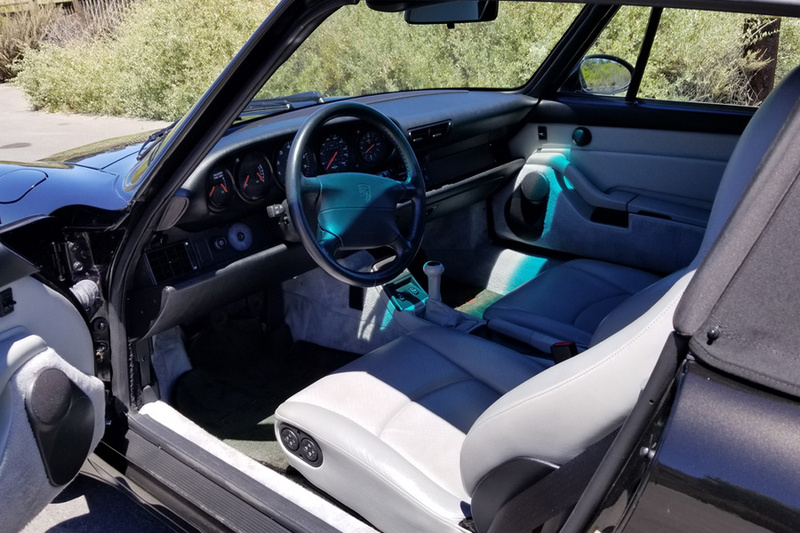 The paint looks fantastic and is original………on a scale of 1 to 10 the car is a “9”! 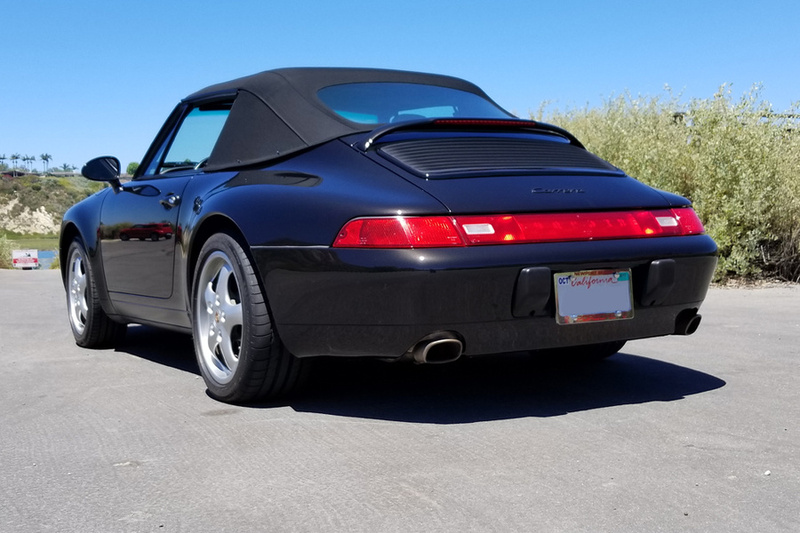 The original stone guards on the rear flares were removed due to “yellowing”. All the glass is original (including the windshield) and in excellent condition. 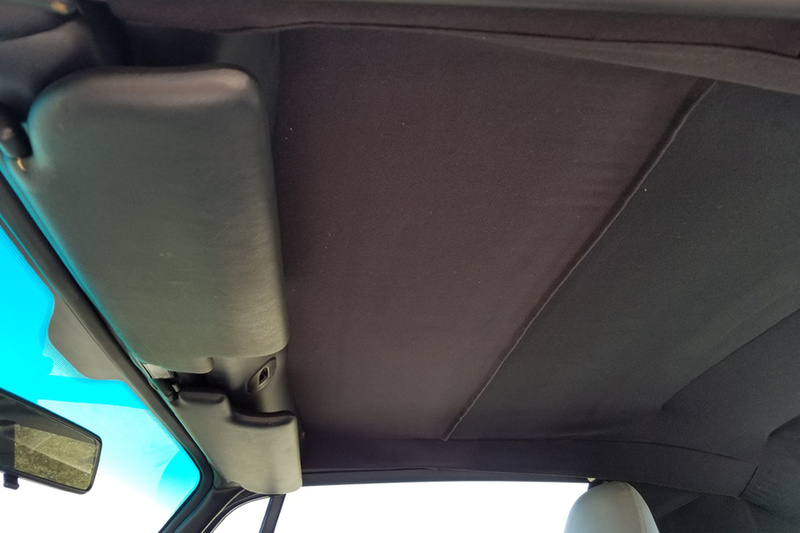 The soft top was replaced prior to the 2nd owner purchasing the car & has only been used once in the down position & looks near perfect with no wear marks along with a clear rear window. 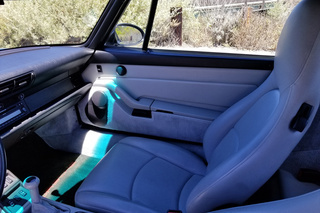 The interior is equally as nice and original. 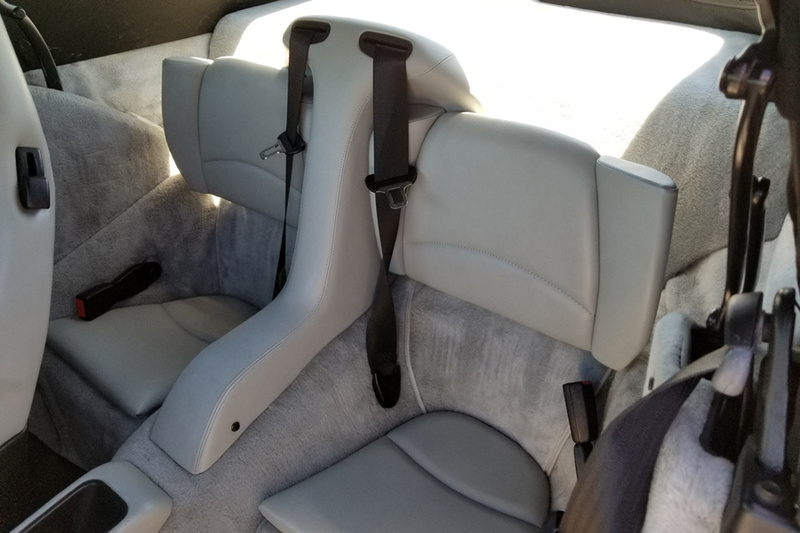 The leather seats show very little signs of wear. 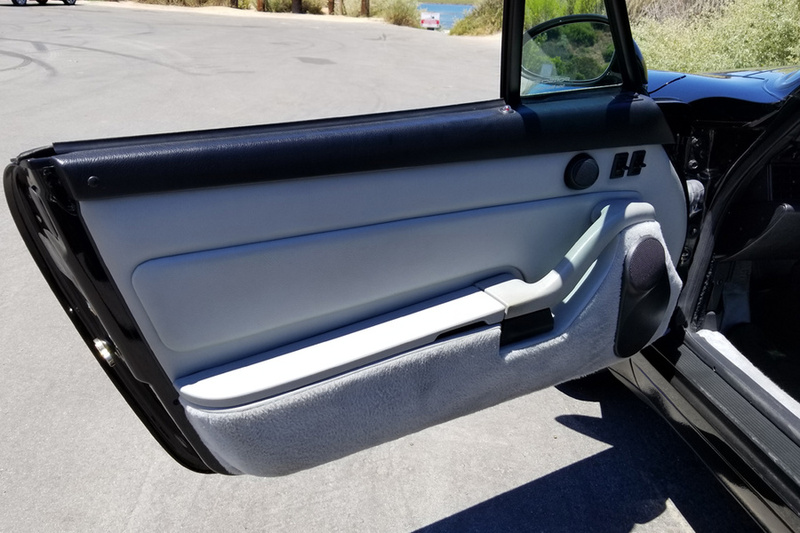 The carpet and door panels are near perfect. 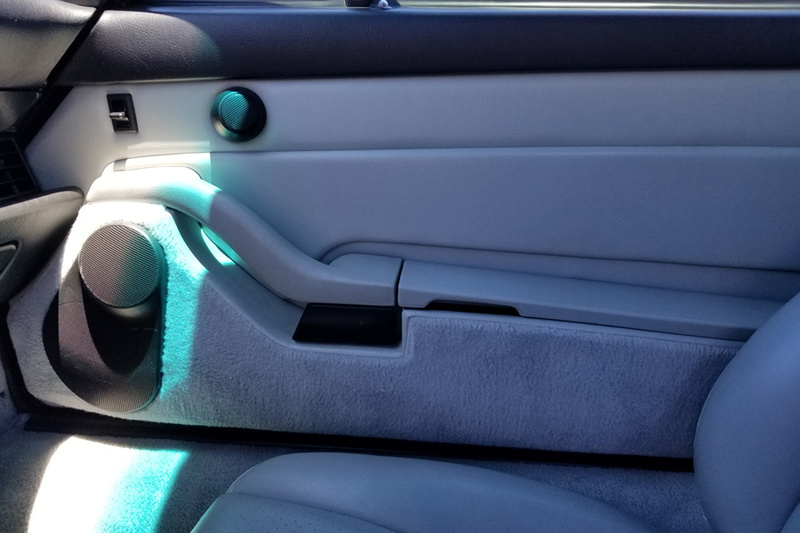 The dash is straight with no cracks. 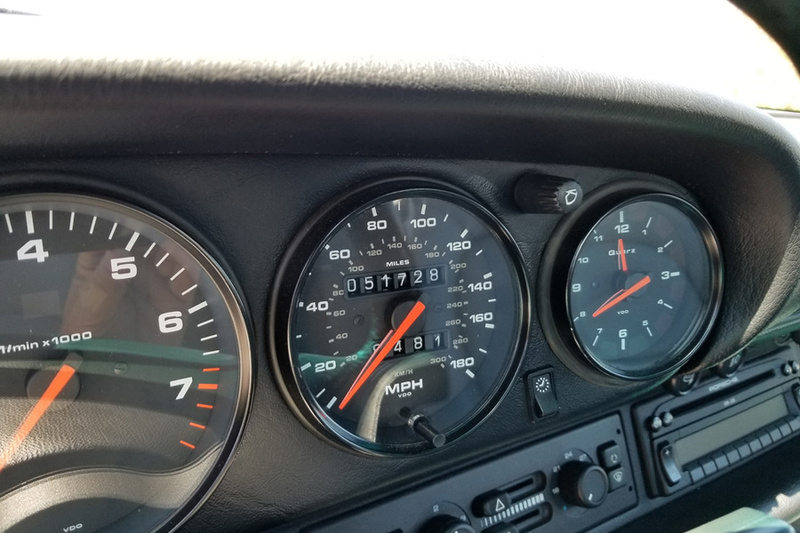 All the gauges, lights, radio, and A/C function properly. 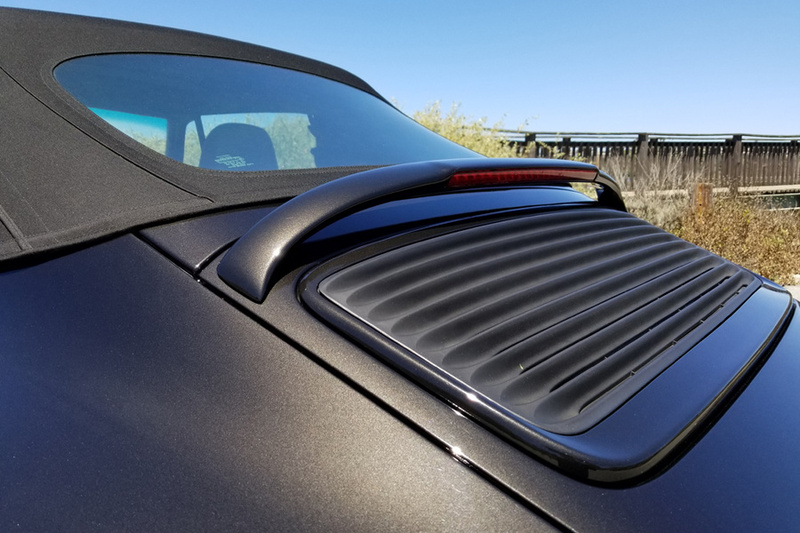 The full power top goes up and down with the touch of one button and works great. The car is very responsive & drives great. 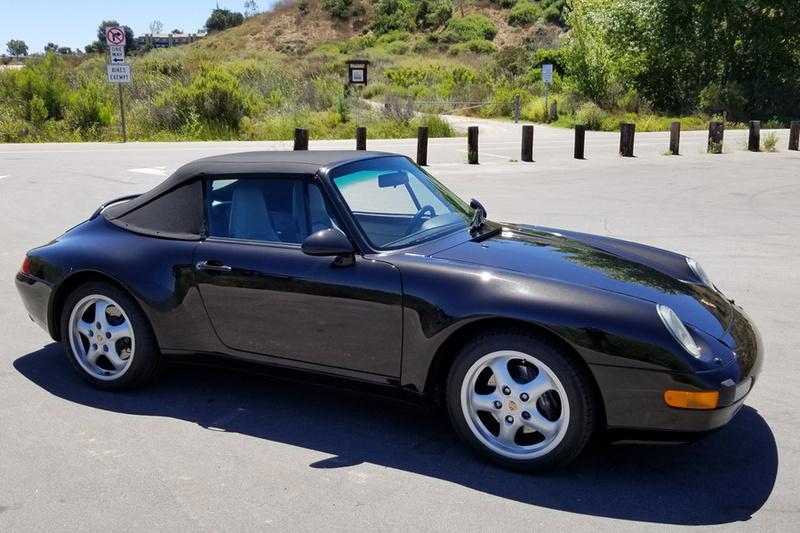 The car is easy to drive daily in traffic or cruising down Pacific Coast Highway! The power feels great from the 3.6L twin plug engine. 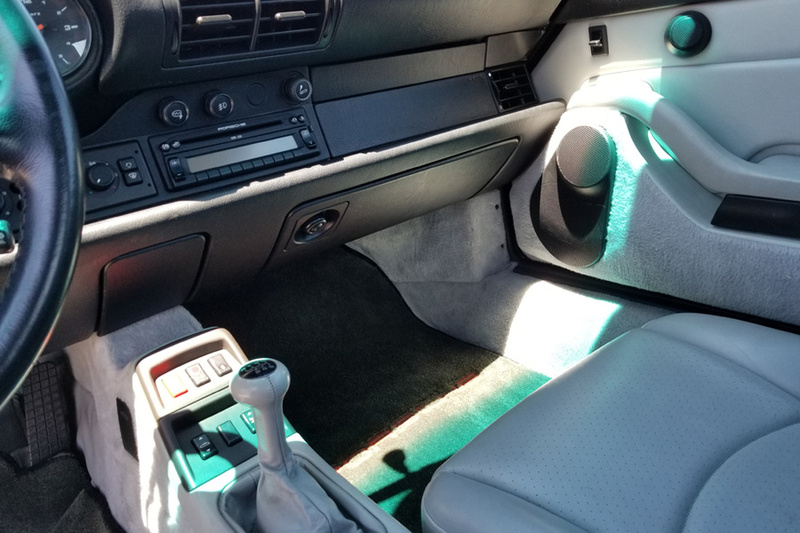 No hesitation on start-up and it holds a perfect idle. 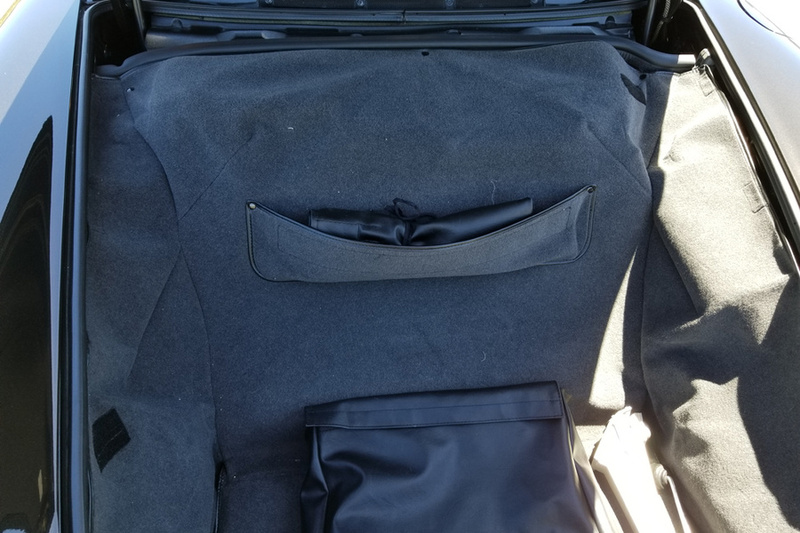 The shifting is incredibly smooth with no slipping or grinding. 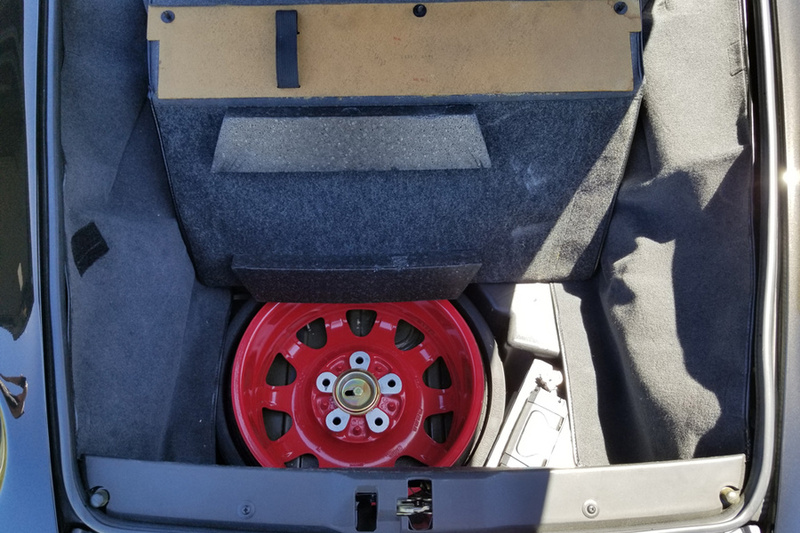 The clutch engages properly. 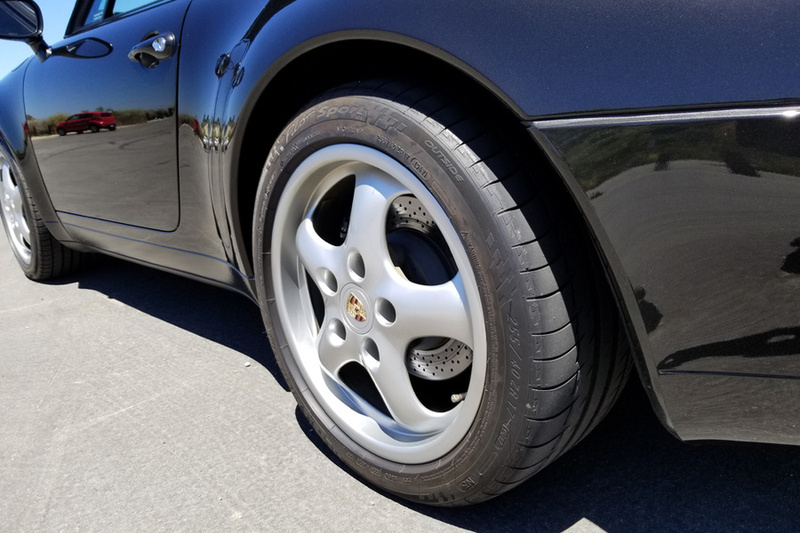 The brakes have excellent bite with no fade. 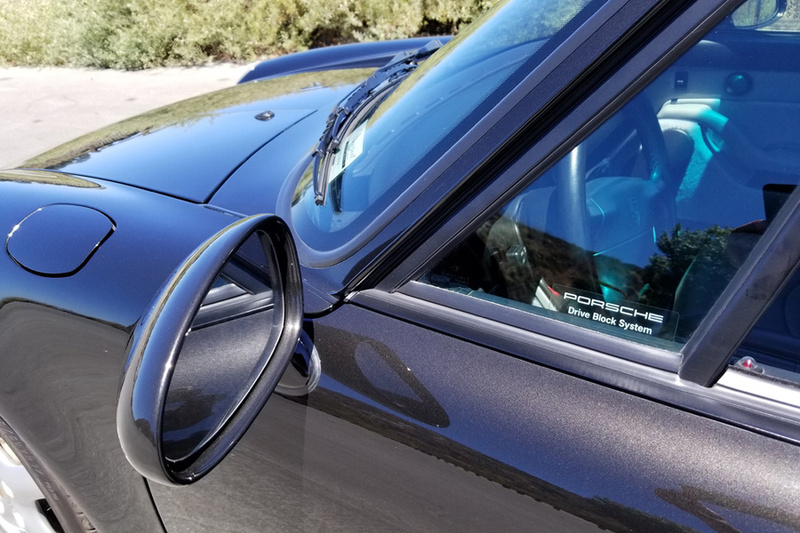 Turning is responsive and the car drives straight with no pulling. California registration is current and paid through October of 2017. 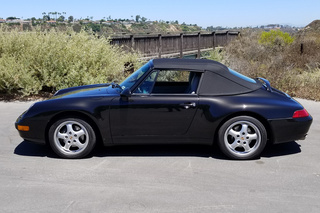 Great buy for the LAST of the air-cooled 911’s! 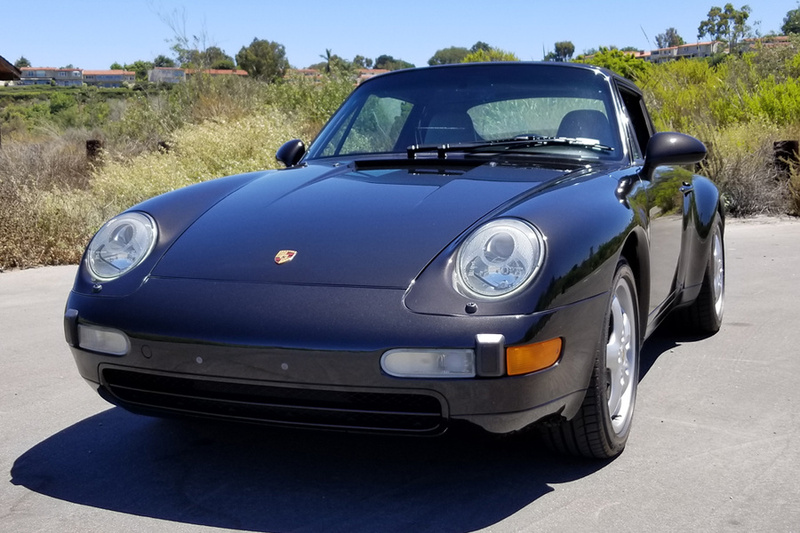 Originally sold by Beverley Hills Porsche October 1996 (MSRP $80,418). The car has a clean and clear California Title w/no accidents.